The Warrior Sailing Team in training for last year’s Disabled National Championship regatta. It’s long been known that sailing is not just good fun, it’s good for you too—both mentally and physically. And this goes double for people with disabilities. It therefore made all the sense in the world when the USMMA Sailing Foundation, and sailors like America’s Cup veteran Ralf Steitz and Paralympic silver medalist Jen French decided to create the Warrior Sailing Program to get ill and sometimes severely injured service members out on the water—including veterans wounded in places like Iraq, Afghanistan and even Vietnam. There’s just one problem: when you get a bunch of military types, many of them highly motivated, out on a sailboat, they don’t just want to participate, they want to compete, and at a high level to boot. Enter the Warrior Sailing Team, comprised of qualified graduates of one of the program’s intensive training camps, which began mixing it up around the buoys in 2015 and isn’t afraid to hit the big-time in terms of both disabled and mainstream sailing. Last year, the team got things started by racing in the J/22 class at Charleston Race Week and went on to take first at the Disabled National Championships. In 2016 the team’s race schedule began with another visit to Charleston and includes the upcoming North American Challenge Cup in Chicago and the J/22 Worlds taking place in Kingston, Ontario, this August. “What we found from the training camps is that a lot of people wanted to keep sailing. It isn’t very fair to teach people to sail and not give them an opportunity,” program director Ben Poucher says, noting an impressive 76 percent of basic-training grads have said they want to continue with the sport. 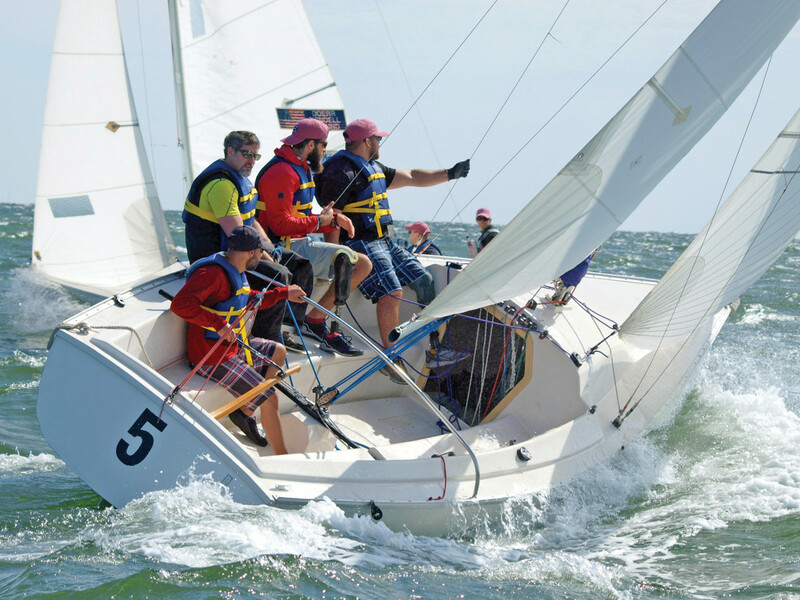 Designed to function as a mobile program, the Warrior Sailing Program leads a rather nomadic existence, transporting its staff and expertise to various venues around the country where it partners with local yacht clubs and other sailing organizations that provide boats, docks and space for onshore training. Later this year, for example, San Francisco’s St. Francis Yacht Club, Sail Newport, the San Diego Yacht Club and the Annapolis Yacht Club will all be hosting training camps. Past venues have included Florida’s St. Petersburg Yacht Club, the Texas Corinthian Yacht Club, the Sea Scout base in Galveston, Texas, and even the Kaneohe Yacht Club in Hawaii. 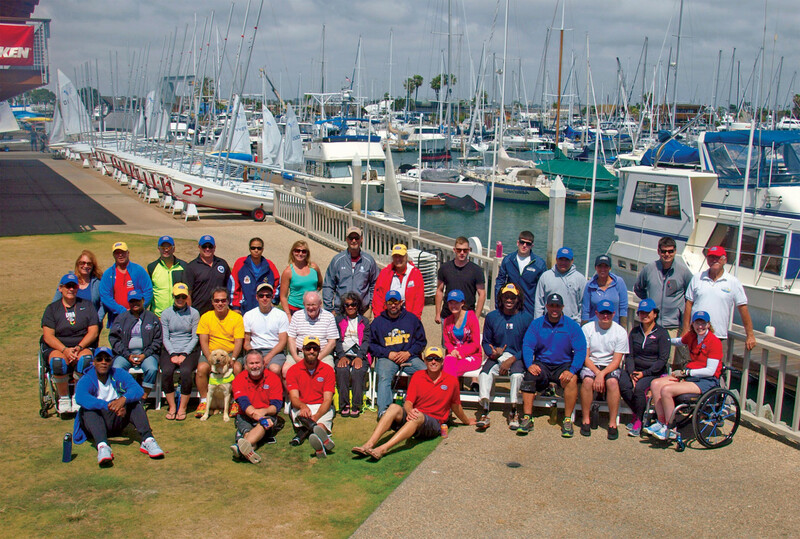 Central to the Warrior Sailing Program’s mission is its ability to cover the sailing expenses for all ill, wounded or injured active or retired service members taking part. To this end the program relies on funding from a number of sources, including VA Adaptive Sports Grants, sponsorships and private donations. However, Poucher says the program has barely scratched the surface in terms of the many service members in need of help—by some estimates over a half million—and as such it is looking to grow, which means it is also in need of additional financial support. For those interested in taking part or helping out with a program that truly represents sailing at its finest, visit warriorsailing.org/getinvolved.